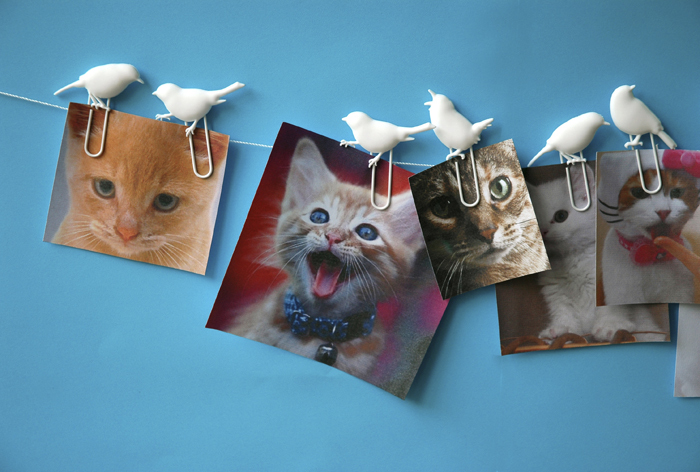 Store you favourite pictures, important memos or tickets easily on the wall with the birds on a wire clips. 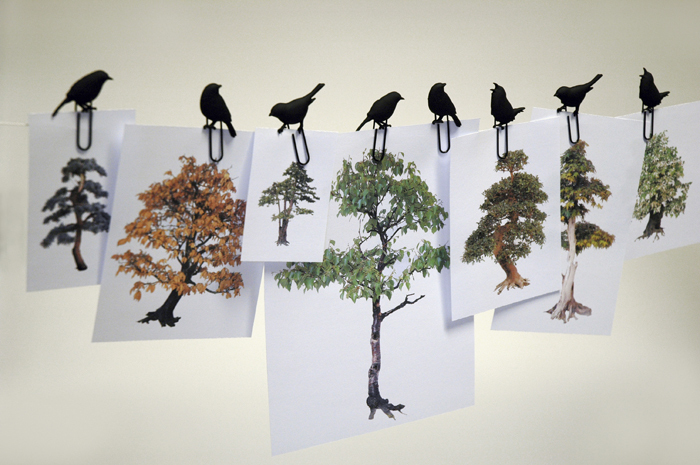 The set was inspired by the archetypical image of birds sitting on a clothesline. 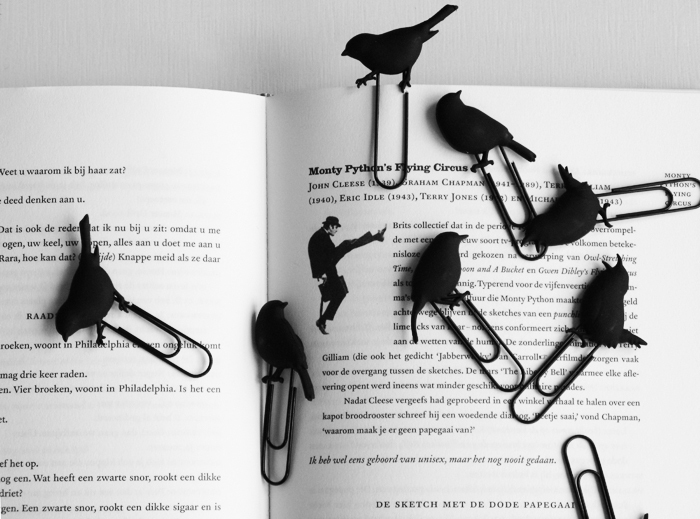 The bird clip set is part of the Fred and Friends collection. Later the catwalk and bunny trail were added to the collection.